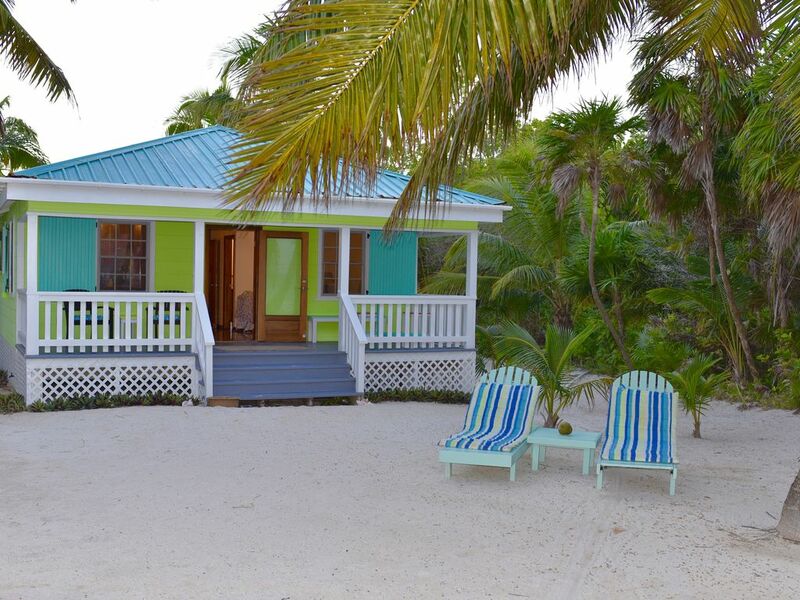 This little beachfront casita was just what the doctor ordered. A quaint casita with a breathtaking view. The beach is literally your front yard. The view from the front porch looked like a postcard. We also loved having the pool to use since the seaweed was out of control. The staff was so nice and accommodating. Isis was a lovely host at the Chat n Chill each time we went down for a drink or a meal. We loved visiting with Henry each day. He was so friendly and always helpful when we had a question or needed anything. If seclusion is what you are looking for and you want to unplug and unwind....this is your place! Thanks for a wonderful vacation! Gorgeous place to get away from it all! I can’t say enough about the staff - always friendly, helpful, and accommodating. The house and amenities were beautiful and well maintained. We were a bit disappointed by the sea grass but you can’t help Mother Nature. We loved being able to walk down the Chat N Chill for snack and games. We’ll be recommending this place to all of our family and friends. We loved every minute of our trip! So great getting to know Jeff. Adrian, Glendy, Isis and Balbina took great care of us. Thank you all so much! We highly recommend this rental it is comfortable and clean and just like the photos. We can't say enough good things about the owners and people working for them - Henry, Isis, Glendie, Balbina, and Adrian were all so kind and helpful. Mother Nature dumped a bunch of Sargassum on the island and the staff did everything possible to clean it up and make our stay enjoyable. The beach wasn't nice for swimming even with Henry and Adrian raking all day, so we lounged by the pool, played yard games at the restaurant (while eating yummy fish tacos and drinking margaritas) and took our golf cart north to explore the northern end of the island. We couldn't have asked for a better response to dealing with the Sargassum that was washing in (we appreciated the half off "Sargassum Specials" at the Chat & Chill Restaurant and hanging out at the beautiful pool with the owners super friendly Goldendoodle.) We look forward to returning again next year! We had the most wonderful time staying at this casita and enjoying all the amenities the property offered. We arrived at night but were welcomed with a delicious dinner and drinks at the Chat-N-Chill. The casita is a truly charming inside and out and is well equipped with everything you need for a comfortable stay. We enjoyed coffee on the porch and were happy to be greeted by Noodle the Goldendoodle many mornings. We planned to use our kitchen to cook in the mornings but soon realized it was a nice luxury to simply walk over and start our day with a hot and fresh breakfast. The property is pristinely maintained from the moment you turn in. There is plenty of seating, swings and games to that add to this beautiful property. We experienced the abundance of sargassum but that didn’t stop us from relishing the pool and white sandy beach areas. We enjoyed good food and company with the owners Jeff & Tamara and the other guest. We learned much about the island and life in Belize. Henry, Isis, Glendie, Balbina, and Adrian always greeted us with a smile and no request was too big or too small. They really go above and beyond to make your visit a memorable one. I love fresh coconuts and Henry happily delivered some to our casita and the ladies baked me cupcakes on my birthday, what a sweet surprise! We explored around the island on our golf cart during the day and returned in the evening to enjoy a relaxing dinner at the Chat-N-Chill. We were beyond happy with our time spent here and highly recommend to anyone looking to stay here, it will certainly add to your experience of visiting Ambergris Caye. We look forward to returning one day!